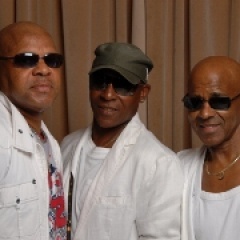 Formed in 1972, The Real Thing are Britain’s longest-established - and best-loved group in UK entertainment history. Universally known for their legendary hits ‘You To Me Are Everything’, ‘Can’t Get By Without You’ and ‘Can You Feel the Force’, as well as their ground-breaking 1977 song, ‘Children of the Ghetto’, The Real Thing remain pioneers in soul, funk and dance music. Pioneers in soul, funk and dance music, the two original members – Chris Amoo and Dave Smith – are now celebrating over 45 years in the music industry. Still gigging across the world, the band’s success and longevity is unprecedented in British entertainment history. Although The Real Thing were established in Toxteth, Liverpool, L8, in 1972, the band actually has its roots in Sixties’ vocal harmony group, The Chants; Britain’s first black acapella quintet, established by Chris’ older brother Eddy. A chance meeting with Paul McCartney at a Little Richard concert at the Tower Ballroom in Birkenhead, led to The Chants being invited to audition for The Beatles at Liverpool's famous Cavern Club. The Beatles were so knocked out by the group’s sound that they invited the boys to appear with them that same night, much to the reluctance of their manager, Brian Epstein, who didn’t want his group being backed by anybody. Thanks to John Lennon’s persistence, The Chants were a resounding success on stage, and for a brief time, Epstein represented them. The band was signed to Pye Records by Tony Hatch, but despite touring for 13 years The Chants were unable to achieve the same level of success as their ‘Merseybeat’ peers. Throughout his time performing with The Chants, Eddy honed his burgeoning songwriting skills, which were to stand him in good stead for his next musical collaboration. Whilst Eddy was busy with The Chants, his younger brother Chris had been watching intently. Inspired by his elder sibling, Chris formed his own vocal group, extravagantly-called The Sophisticated Soul Brothers. The band consisted of Chris and his friends Dave Smith, Ray Lake and Kenny Davis (and later joined by Edward Ankrah, younger brother of Joe Ankrah, from The Chants). The S.S.B. began to pick up gigs and were soon brought to the attention of legendary A&R man Tony Hall, who drove up to Liverpool from London to see them perform. He signed them immediately, but decided they needed to change their name. Sitting in his car one day at traffic lights at Piccadilly Circus, Tony looked up the famous Coca-Cola advertising slogan blinking above him and made his mind up immediately. In January 1972, The Real Thing were born. Today, The Real Thing are still in enormous demand; their touring shows (complete with a live five-piece band) still entertain audiences almost every week of the year. In 2013 the group captured their live show on CD and DVD with Live at the Liverpool Philharmonic, which has been hugely acclaimed. 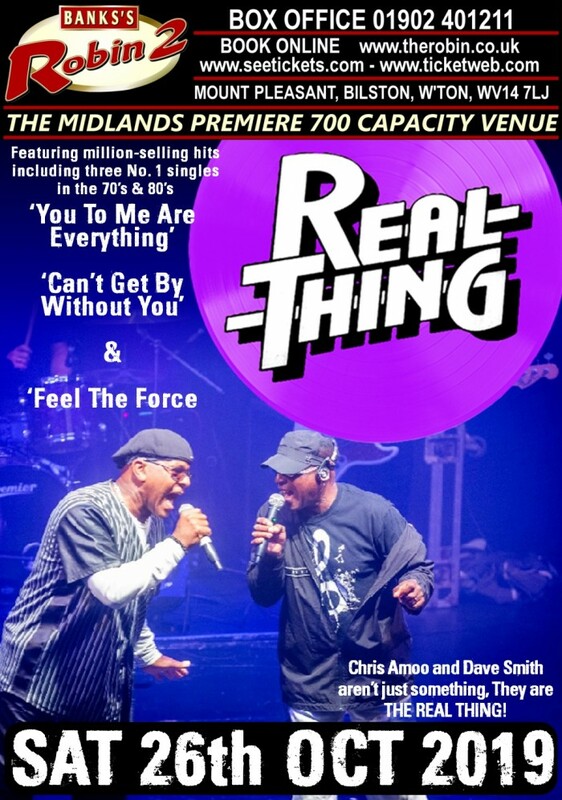 As recently as October 2016 The Real Thing travelled to Australia for their first ever tour Down Under, wowing theatres with their legendary energetic shows. Sadly, in February 2018, Eddy Amoo passed away at the age of 73. His presence is hugely missed, but Chris and Dave continue to tour and their legacy as Britain’s premier black group endures. Their unique reputation for hits, musicality and showmanship carries on. Chris Amoo and Dave Smith aren’t just something.